How strict is the weight restriction and why is the weight restriction different for men and women? Our weight restrictions are set by the manufacturers of our tandem equipment, but there are a few variables that we take into account when considering different heights, weight and various body shapes and sizes. Though manufacturers recommend that there be a maximum suspended weight under a parachute (max weight is determined by the size of the parachute), we also take into account the fit of the harness along with the strength of the individual. 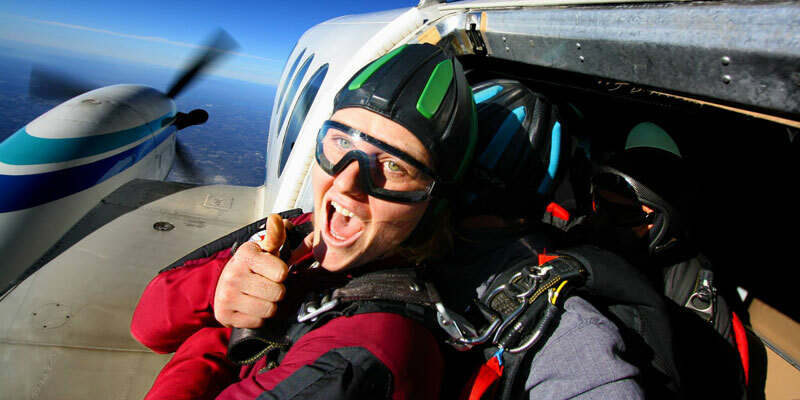 Someone 5’3″ weighing 185lbs will fit much differently in a skydiving harness than someone who is 6′ and 185lbs. Men and women are built differently and is why we maintain different weight restrictions for each. Women tend to carry extra weight in the hips and thighs which can make for a very uncomfortable experience due to the harness being too tight and not fitting properly whereas men tend to carry extra weight in the belly, where there are no harness straps. Safety is our number one priority and we try ensure that everyone has a positive skydiving experience from the moment you check in. If you are unsure if you qualify to jump based on our weight restrictions, please feel free to come out and visit us at any time and we will be more than happy to introduce you to one of our tandem instructors for an assessment.